Wikipad - Performance Gaming, Portable Entertainment. 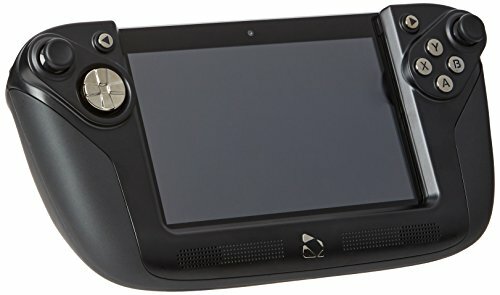 Meet the Wikipad 7 - the ultimate portable gaming and entertainment system. Unleash your favorite Android games, movies, music and more. The lightweight, interchangeable, patented game controller assures comfortable game play and allows games to be played as they were intended. With loads of games already pre loaded. The games you like, anywhere you want. Take on the latest console-quality Android games with true HD 720 graphics and the precise, familiar performance of a console-grade, interchangeable game controller. Interchangeable patented and award winning controller It's obvious right Since the dawn of man we've wrapped our hands and opposable thumbs around tools and weapons. Technology should enhance, not alter evolution. Dual analog sticks, left and right fire triggers and bumbers, D-pad and A,B,X,Y buttons are all you need to embrace the console experience. High Performance Gaming Blistering speeds and zero latency from the Nvidia Tegra quad core CPU, its fifth battery optimizing core and its 12 core GPU. There is no better engine for gamers in such a small package. IPS Screen You want more pixels than a 60 flat screen TV and you're prepared to compromise battery life, processing performance and value for money Then shop for a product that was made by a search engine company! Or, you can buy a product from a company that has thought about what you want and not about what we say you need. We deliver a super sharp responsive screen perfect for gaming and, at 7, it's the equivalent of playing on a big-screen TV. Fast Wikipad is powered by NVIDIA Tegra 3 mobile processor with quad-core CPU and 5th battery-saver core with a high performance 12-core NVIDIA GPU. And Much Much More!